Courtney was born and raised in Los Angeles, California. The daughter of a psychologist and physician, she grew up with a keen interest in both mental and physical health. While she thought initially about studying medicine, her first psychology course at University sparked a passion, and she went on to receive her BA (1997) and MA (1999) in psychology from Southern Methodist University (SMU). She moved to London in 2000, where she received her PhD (2003) from SMU while working in an NHS Eating Disorders Service. Courtney’s PhD work focused on families of women with eating disorders, and over the last 15 years, she has continued to develop her expertise in the area. She has had the advantage of working in an NHS multidisciplinary team specialising in eating disorders, allowing her the opportunity to work closely with allied health professionals to help create comprehensive and unified treatment plans. In addition to working individually, she has run numerous groups for women struggling with Anorexia Nervosa, Bulimia Nervosa, & Binge Eating Disorders. While she is widely known for her work in eating disorders, Courtney also has experience working with more general mental health difficulties. She has worked in an NHS Psychological Assessment and Treatment Service, helping clients overcome anxiety, depression, and wide range of mental health issues. As a Counselling Psychologist, Courtney’s training is broad based. While she enjoys working from a Cognitive Behavioural perspective, she is not protocol driven, and integrates other approaches to create tailored treatment plans. She strongly believes that therapeutic model comes second to process, and that the therapeutic relationship is the most important factor in fostering change. Committed to continued professional development, Courtney continues to attend trainings and receive specialist case supervision to broaden her clinical skills. Not only does she keep abreast of the latest developments in eating disorders, body image, and obesity, but she has also sought training in Acceptance and Commitment Therapy (ACT), Hypnotherapy, Mentalisation Based Therapy (MBT), and Mindfulness. She is also an ISST Acredited Schema Therapist. In response to the demand for qualified and experienced private clinicians who specialise in eating disorders, Courtney began her private practice in 2005. Among her clients and colleagues, she has established a reputation for combining sound psychological techniques with creativity, humour, and a direct approach that inspires her clients to wellness. 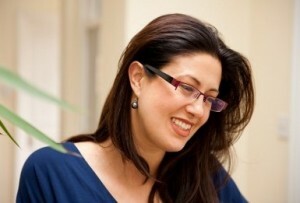 In 2010, she founded Altum Health, a private practice specialising in the treatment of eating disorders. She is a Chartered Psychologist, an Associate Fellow of the British Psychological Society (BPS), and is registered with the Health Care and Professions Council (HCPC). Courtney is a member of the Counselling Psychology division of the BPS, as well as the Clinical Psychology division’s Faculty of Eating Disorders. She is a member and active supporter of the Eating Disorders Association (BEAT) and contributes to the press on matters relating to eating disorders, obesity and body image problems. In addition to her private work, she lectures in the Counselling Psychology Doctoral Programme at City University. On a personal note, Courtney has been married for 19 years and is a mother of two.